Los Angeles, Local Singles Dating Opportunities... Single Dating Sites... Single Women... 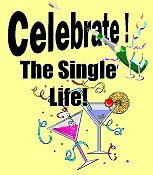 Single Men... and the Los Angeles Singles Dating Scene ...and are tired of Singles Bars and are looking for nightlife in Los Angeles... well, you’ve come to the right place. Whether you're a Single Woman or Single Man this is your gateway to Singles Events and Activities in Los Angeles & Orange County. It doesn't matter if you're looking for Speed Dating in Los Angeles, or just plain old fashioned Singles Dining - Singles Dance or Singles Social Events... this is the place to come. You might even find organizations for Christian Singles, Jewish Singles, and Mature Singles... as well as Networking Opportunities... and a whole lot more. Isn't it about time you got out of the house and lived it up a little?... here's your chance! Pre-Dating- Meet about a dozen other Los Angeles (and OC) area single professionals in your age and interest group through a series of six minute "pre-dates." Balboa Ski & Sports Club - Though not exactly a Single's organization, the BSSC nevertheless has lots of single members and holds numerous social events. Maybe you'll meet your mate on the slopes! SpeedLA Dating - They offer "American Speed Dating with an English touch" and invite you to "a night of fun and endless opportunities to fall in love." Mix Professional With Fun Events - A group of active professionals seeking adventures beyond the daily grind, building new friendships through social networking, and/or looking to meet that special someone along the way. No Flake Singles - LA - This group is for singles who are fun, intelligent and sincerely interested in meeting new people for friendship or more. They offer dining out, potlucks, hiking, happy hours and more. Cloud9 Speed Dating - They hold speed dating events where you'll meet lots of other people out there, just like you, who are too busy to meet the right people, too shy, or just looking to meet others in a relaxed and natural way. SoCal Singles - Meet other Southern California singles near you. They offer dances, sporting events, weekend cruises to Mexico, poker nights, dinners, wine tasting, bonfires on the beach, sailings, bike rides and much more. Catch Matchmaking - A boutique matchmaking company catering to busy, professional singles offering personalized introductions. Confidential Christian Introductions - One on one introductions and events for Christian singles in Southern California. GOT-OC - They offer events to bring people together for fun in Orange County. From Ducks and Angels games, to events at the House Of Blues, Happy Hours to kick ball. Jewish Singles Meeting Place - Events and activities for Jewish Singles in the Los Angeles - Orange County area. The Wailers Ski Club - Though not strictly for Singles, this is a year-round adult social group that offers ski trips, parties, dinners, extreme adventures, and other activities.